The Make One Change 2018 prizegiving was held on Thursday 22nd March to celebrate the end of an exciting local challenge. Over 220 families had signed up to make some small change in their family life – a small change that could make a big difference. For some families it was about having less screen time and more family time. For others it was about getting out and getting active together. For others it was about making time to eat dinner together and for some it was about growing the vegetables that would go into the dinner! Different families, different ideas, but all wanting to give themselves the opportunity to strengthen and enjoy their family life even more. Joan Maguella of Poppy Seed Bakery and her daughter Sabrina prepared food for the event. 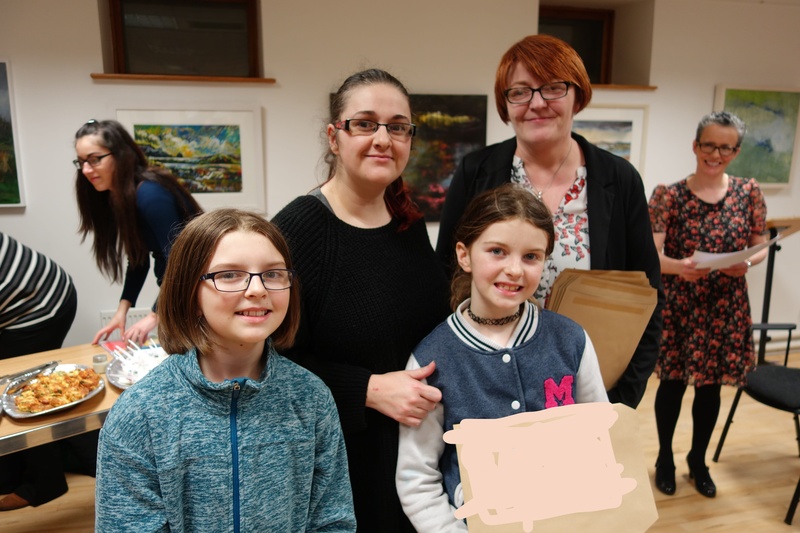 Many families had mentioned that they wanted to eat more healthily, so on the night Joan Maguella from the Poppy Seed Bakery did a wonderful presentation on how to make healthy, handy lunches and snacks. Better still, everyone had the opportunity to sample Joan’s food over a cup of tea afterwards. Valerie Bryce who plies her trade as a storyteller under the name Mabel’s Fables entertained the children with a very interactive story and then delighted everyone with a beautiful story she had written especially for the occasion. Valerie can be contacted on 0879116079. 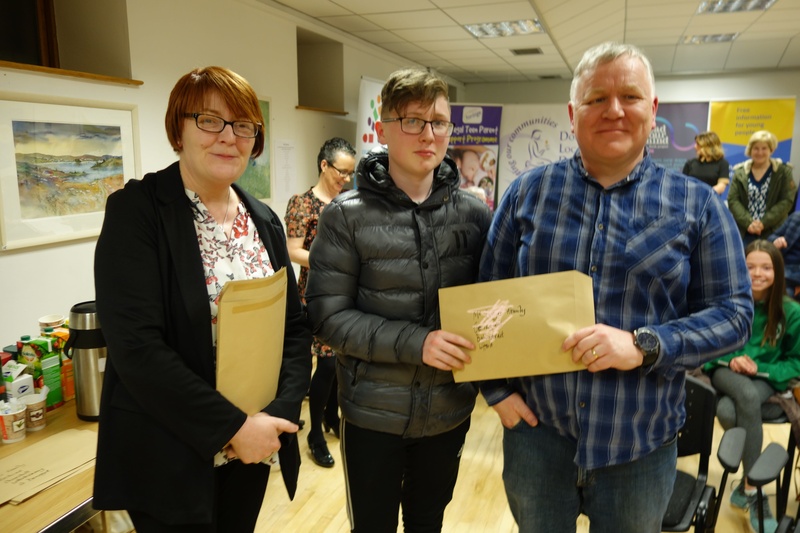 Many of the services that support family life in Donegal were present on the night, providing information for parents to take away or to have a chat about what their service offers. 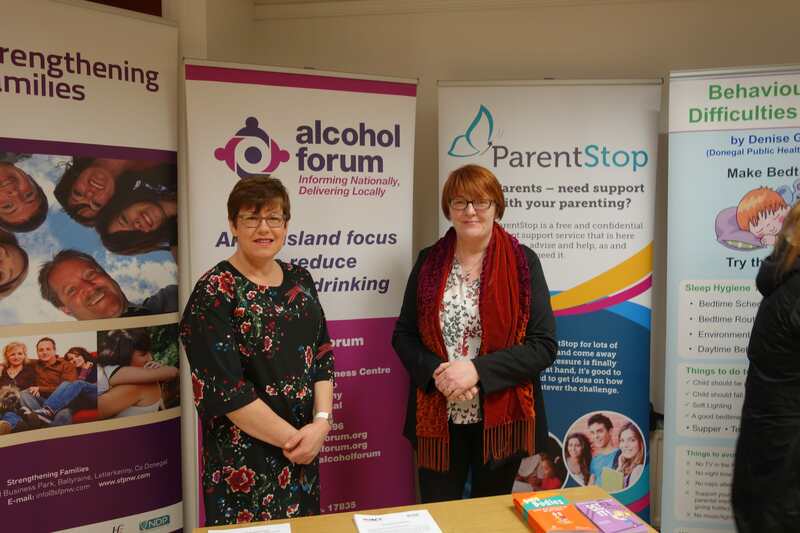 ParentStop, DLDC, Jigsaw, Donegal Youth Service, LifeStart, Donegal County Childcare, Foróige, the Strengthening Families Programme and Parent Hub Donegal were all represented. Information on all these services and more can be found on the Parent Hub website parenthubdonegal.ie and on Facebook. Parent Hub Donegal who organised and promoted the campaign want to thank all those who sponsored prizes – The Wild Atlantic Camp, Portsalon Luxury Camping, Alcorn’s Tropical World, Wains World, Iona Cois Locha, The Station House Hotel, Gartan Outdoor Education Centre, Coillte, M&S, Arena 7, Kee’s Hotel, Century Cinema, Oakfield Park, Aura Leisure Centre, Spraoi agus Spórt, the Abbey Hotel, the Millpark Hotel, Eclipse Cinema and Lidl. Thanks also to Rory Gallagher and all in the library whose hospitality made the event possible and to Tusla for funding. 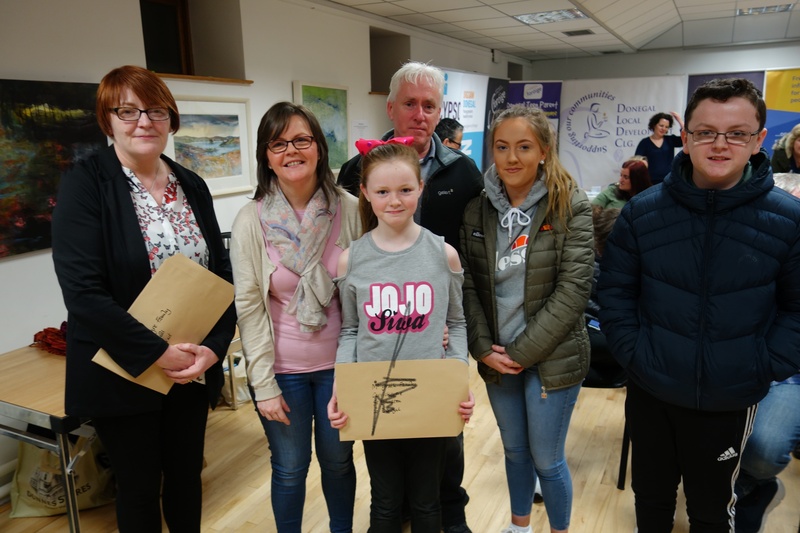 Parent Hub Donegal looks forward to catching up with some of the families in the months ahead and finding out what benefits have come from the small changes they have committed to.